(I believe this is located in present day Ukraine.) 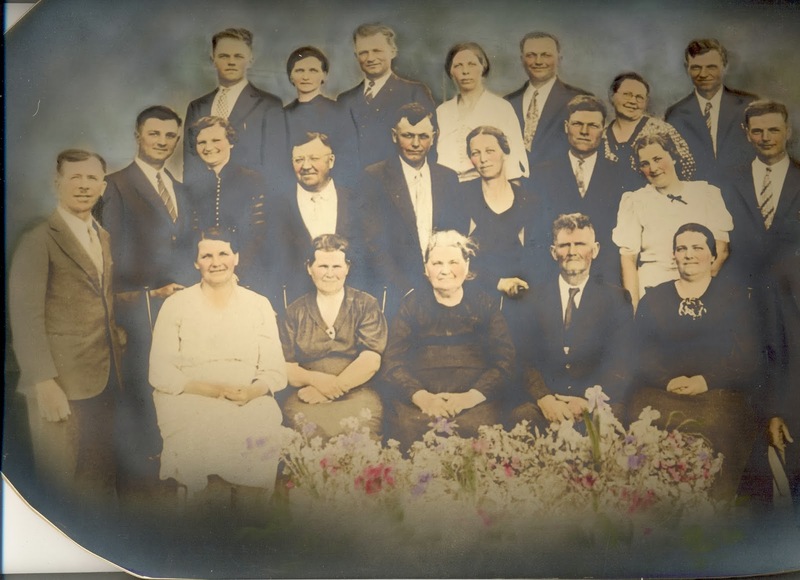 The Mennonites had come to the area in the 1780's at the invitation of Catherine II to avoid religious persecution for their anabaptist beliefs. During their time in Russia they lived in tight-knit church centered villages providing education for their children in German. Few learned the Russian language. Topics of discussion tended to be religious in nature. An issue of controversy was whether prayers should be offered silently or aloud. For some this issue may have been settled aboard the ship, the SS Abbotsford, as they immigrated to the United States in 1874. 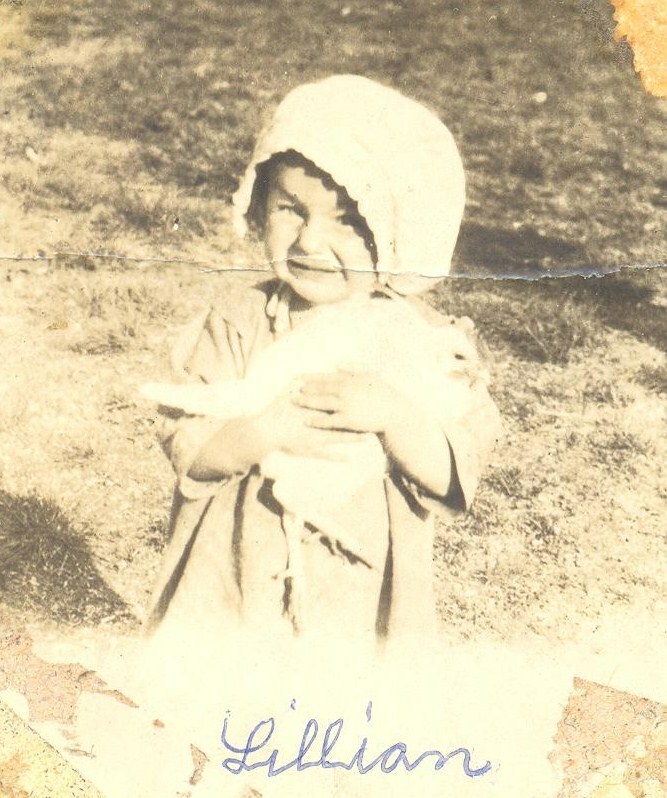 When Mennonites had learned that their religious privileges had been revoked some years earlier by the Russian government and that that the ten years allowed for immigration were slipping away, some 18,000 Mennonites (1) from various villages made the decision to immigrate to the United States. 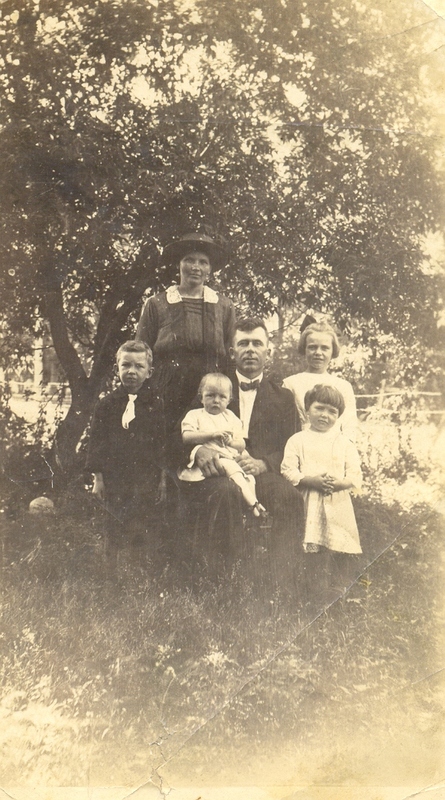 Six year old Jacob and his family which included three younger brothers, his father and his frail mother who had given birth to his sister just five days before leaving their home, began their voyage to America aboard the SS Abbotsford. It was not a smooth voyage. Almost immediately the the ship was slightly damaged in a collision with another ship causing them to return to port for repairs. This was followed by an outbreak of smallpox among some of the children. Eight families were transported to a hospital ship to recover. As the Abbotsford continued on her journey she suffered broken machinery due to heavy storms. After struggling for nine days, they were "rescued" by another ship. While trying to transfer passengers the two ships collided violently, gashing the keel of the Abbotsford. As water gushed in, lifeboats were filled, but there was not enough room for everyone. In a locked room in the bottom of the ship were Jacob and his family as well as other Mennonites, including aunts, uncles and cousins (35 in all). Here is where the question over whether one should pray aloud or silently was perhaps answered. For Jacob saw and heard each person cry aloud to God for mercy. And those prayers were loud! Mercy was extended and at the last minute a sailor discovered that only the forepart of the ship was filled with water; an undamaged wall prevented the entire ship from being filled with water. The ship was towed back and of course, the group did eventually make it to America. 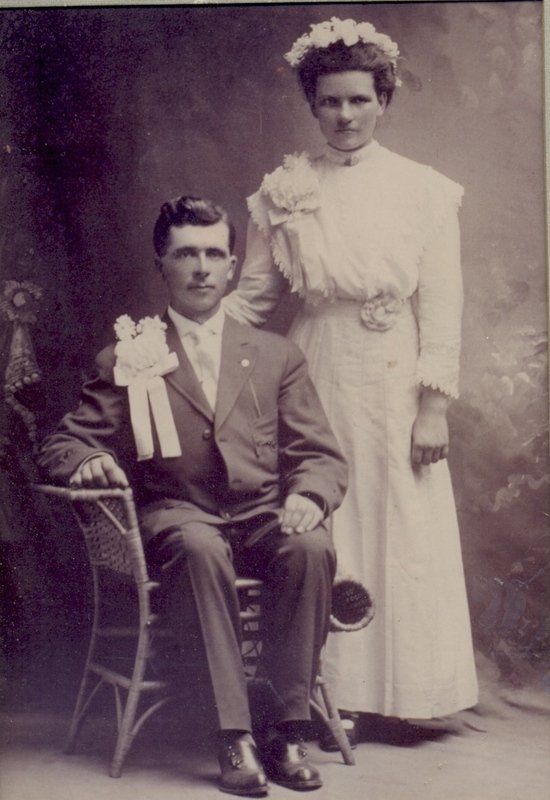 After taking the train as far as it would go the Becker family arrived in South Dakota in the spring of 1875 and ventured into the prairie where there was only grass. "There were no section lines, no roads, no fences, no plowed ground, no farmers or houses," said Jacob in his autobiography (2). Here the family would make their new home. Certainly their struggles were far from over. Just a few months after arriving, Jacob's mother died and a few days after the infant daughter, Elizabeth, also died. This was a time no doubt when prayers were not answered according to their requests. In spite of great loss, the family survived. 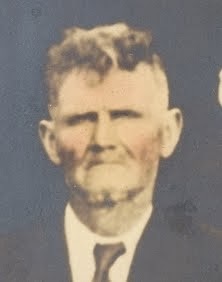 Jacob's father remarried and many more children were added to the family. There is neither time nor space in this post to relate all the we know about the life of Jacob Becker. Perhaps another time. Suffice it to say that after establishing a farm with his father and brothers using oxen and horses, he grew up to establish his own still using horse power. He married the pastor's daughter, Elizabeth Unruh. (Elizabeth was also the granddaughter of Elder Tobias Unruh, one of the leaders in the immigration.) Together they had 14 children (one died in infancy). It was a home of vibrant faith. It would appear that many of the lessons he learned in childhood were applied in this home. He prayed. He prayed often. And I have to believe that he continued praying even when his prayers were not answered according to his requests. This is not the Becker family, but portrays a family from that era. By the time of their 60th wedding anniversary in 1948, the family (including in-laws) numbered over 100. 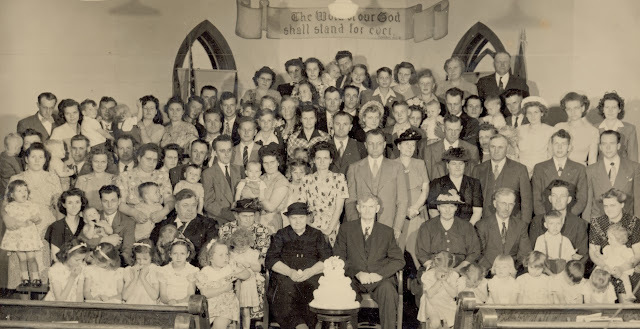 My grandparents, Eva Becker and John W. Schroeder are seated to the right of Jacob Becker who is seated in the center behind the cake. Others in the Schroeder family are on the right side of the photograph. Janice Schroeder Fagre pictured in front of Eva Schroeder remembers being so embarrassed that she hid her face because her dress had gotten caught in her garter. Jacob Becker died shortly after this photograph was taken. 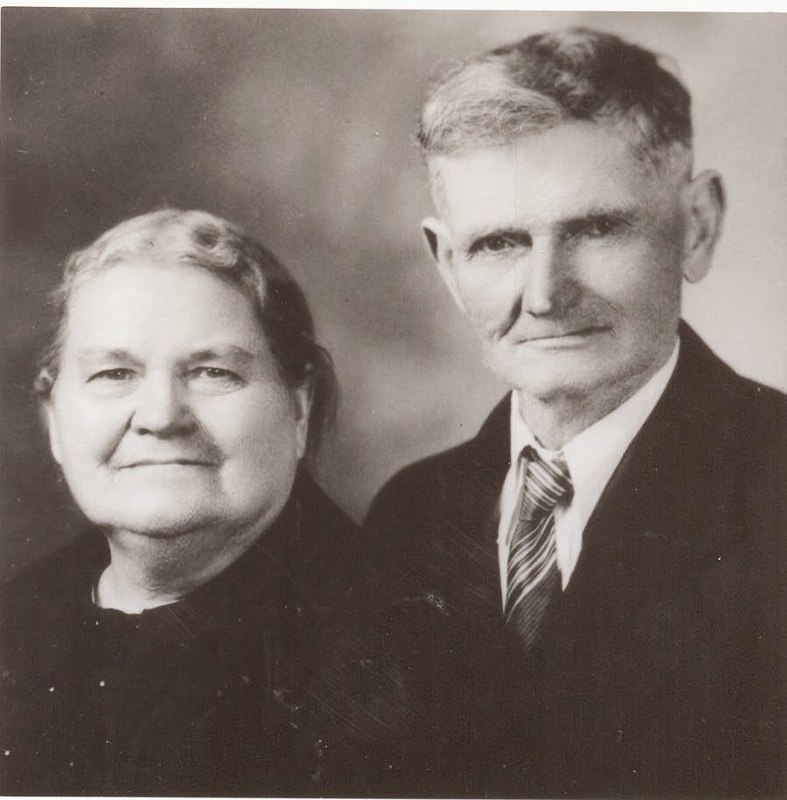 Jacob and Elizabeth Becker have many descendants. Jacob Becker was a far sighted man. He was concerned not only about his children and grandchildren, but also for generations to come. So he prayed for them. 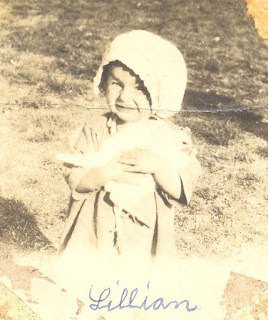 My Aunt Olivia remembers that he prayed for the salvation of the next four generations. I am honored to know that he prayed for me and I am especially touched to think that he also prayed for my sons. 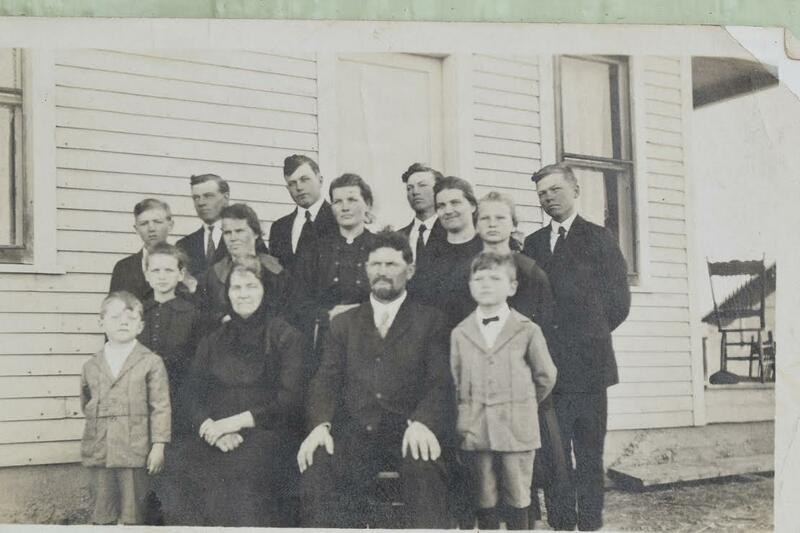 The Becker family with 12 of their 14 children (Two had passed away before this photo was taken) taken around 1920. Jacob sits in the front row center. My grandmother, Eva Becker Schroeder stands behind him on the left. She would have already been married when this photo was taken. When you compare the life of Jacob Becker with lives of that fourth generation, the differences are astounding. From modes of transportation, to languages spoken, career options and sizes of families almost everything has changed. Are there still families with a vibrant Christian faith? Somehow I'm quite sure there are. It is believed that this incomplete photograph was from Jacob and Elizabeth Becker's 50th anniversary. 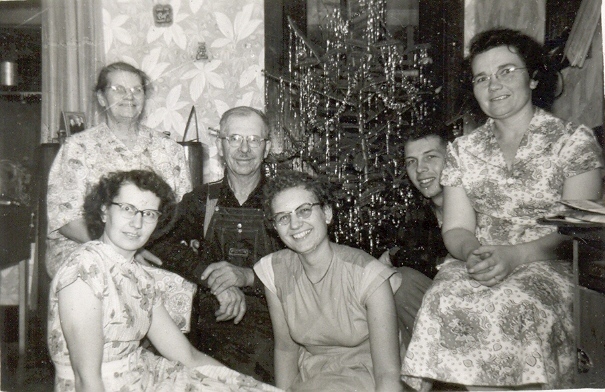 My grandparents John W. and Eva Becker Schroeder are pictured on the far left. Any help identifying others in this photograph would be appreciated. Did Jacob Becker pray for you? How have those prayers been answered in your life? If you are a descendant of Jacob Becker, would you take a moment to answer that question in the comments below? It would be very much appreciated. Please leave your name and to which branch of the Becker family you belong. (3)-Aunt Martha's Story by Martha Becker, page 11. This was also the source for much of information about the events aboard the SS Abbotsford. 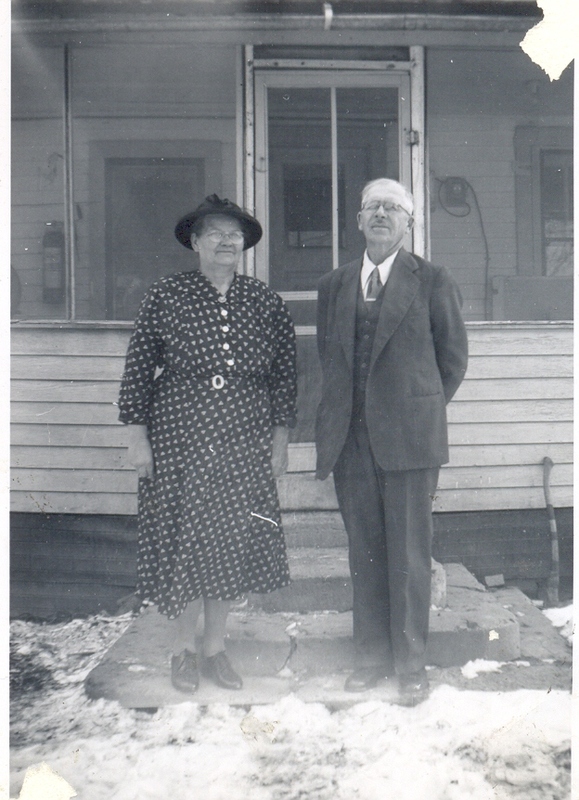 If you enjoyed this post you might also enjoy these posts about the lives of my grandparents John and Eva Becker Schroeder (Eva was Jacob Becker's daughter.) 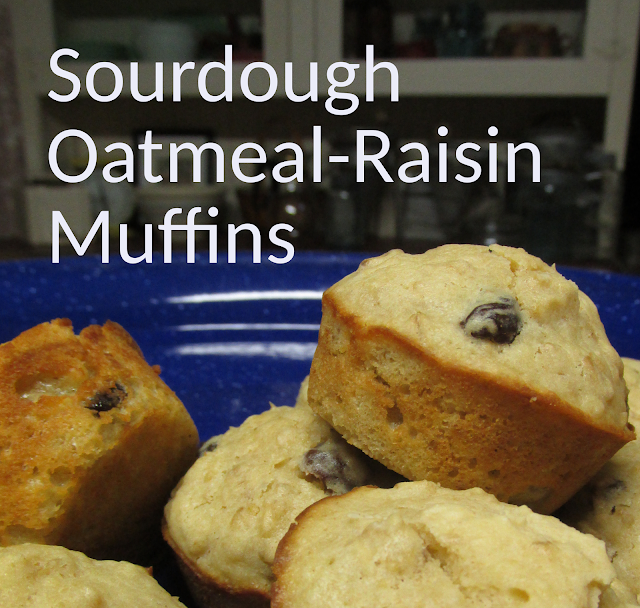 Click on the caption under the photo to go to the post.